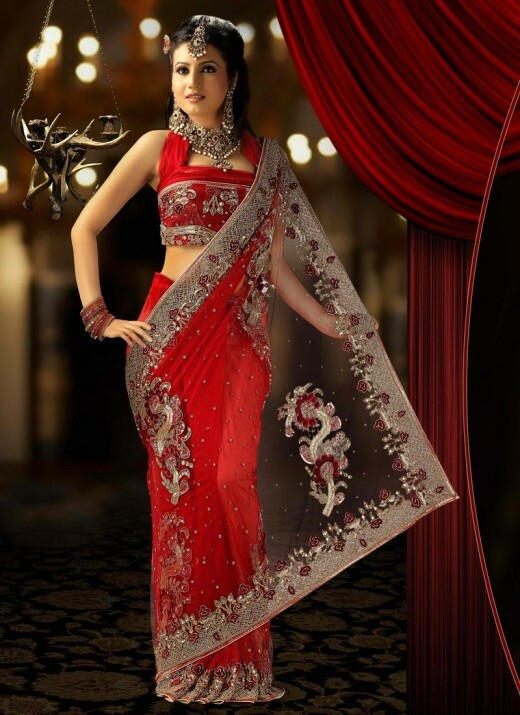 Saree is the most popular and widely worn ladies dress in India. Sari is commonly worn by Indian ladies in all regions in India. A sari or saree is a strip of unstitched cloth, worn by females, ranging from four to nine meters in length that is draped over the body in various styles. Sari is considered as a perfect dress for women for different occasions like marriages, festivals and birth of a child. Here, we have collected 20 The most comfortable and fashionable embroidered saree designs for ladies. We are quite sure that you will like theses impressive and lovely collection.